The best way to make sure your pet doesn’t get lost is to microchip! A microchip is a tiny chip the size of a grain of rice injected between your pet’s shoulder blades by a veterinarian. It’s a permanent way to identify your pet if lost or stolen. A wand-like scanner can be used to tell if a pet has a microchip, and most animal shelters and veterinarian offices have one. There is a national registry that lists guardian contact information. Does getting a microchip hurt my pet? No more so than when your pet gets annual vaccines. It is done in a few seconds while your pet is awake. No anesthetic is required. How easy is it to change the information if moving? A simple phone call to the company that manufactures the chips will typically get the job done. Yes, they stay in place and can’t fall off like a collar or ID tag. 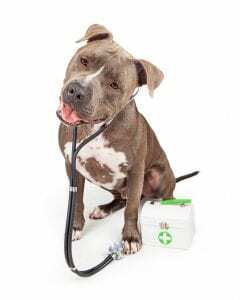 You can have this procedure done at any veterinarian’s office, at the Toledo Area Humane Society or at Humane Ohio (at the time of the spay/neuter only). How will the person who finds my pet know that he has a microchip? When a pet is microchipped, the pet parent will usually get a tag for their collar with an identification number. The tag also comes with an 800 number to call to find the owner’s name and contact information, but if the collar has fallen off, the person who finds your animal will need to take him to a veterinarian or animal shelter that has a scanner to check for microchips.